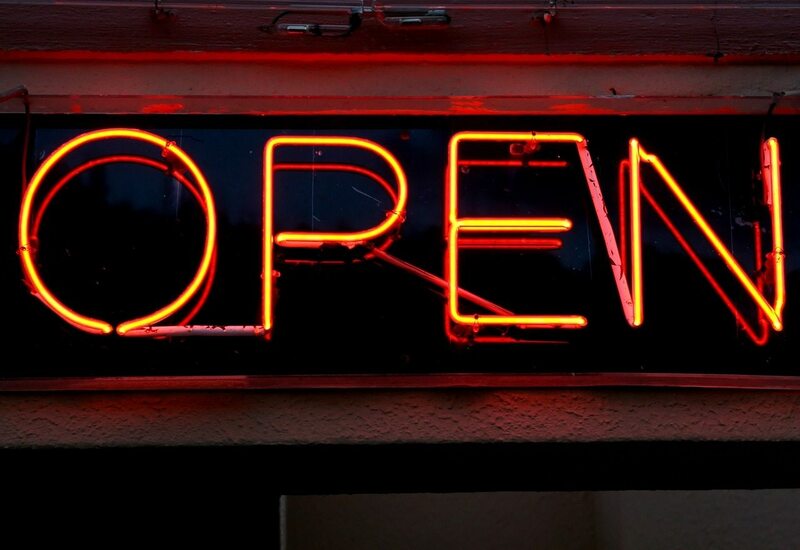 You’ve devoted months, even years, to turning an idea into a viable business model, and now it’s time to start spreading the word and letting customers know that you’re open for business. It takes a lot of time, effort and money to launch a new venture, but the hard work doesn’t stop when you’re finally up and running. This is just the first step. The next stage involves reaching out to customers, getting your brand name out there and generating an income. If you’ve got a new business you’re keen to put on the map, here are some effective ways to drum up interest. A growing number of businesses utilize online marketing to drive sales. If you look at statistics, it’s no wonder that the business world has gone mad for digital marketing and that the vast majority of companies now have a website. The average person spends more than 20 hours per week online and Google alone processes more than 40,000 searches every second. Now, more than ever, it’s beneficial for businesses to have an online presence, even if they don’t plan to sell online. The reality is that more and more people look online to locate services and find products. If your pages and links jump out of the search results or you’ve got a brilliant website, you’ll increase your chances of attracting new customers and keeping hold of existing clients. The first step to a successful online marketing campaign involves creating a website. Consider yourself as a consumer for the moment. How often do you look at websites when you’re shopping for products or looking for services? Many of us shop online and we also use reviews, testimonials and web content to help us make decisions. If you’ve got a fantastic website, this could help you stand out from the crowd and seal the deal when it comes to making sales. Your website should look the part, but it’s also important to focus on the quality and variety of content and the functionality. People have very little time and patience when they’re online, and if pages aren’t loading properly, links don’t work, or they can’t add what they want to their cart, they’re going to look elsewhere. Focus on the visual appeal of the site, create engaging, compelling content that is concise and relevant to your brand and your target market, and avoid long passages of text. Video clips, infographics and useful Q and A sections are a great addition to websites. Research also shows that many sales are lost because consumers have questions to which they cannot find answers. To combat this problem, it’s helpful to provide a link to an FAQ section or to provide live chat options. Always ensure that your site is easy to navigate. If you sell products online, it should take a client a matter of seconds to choose an item, add it to the basket and make the payment. When your website is up and running, you can focus on up-selling it and letting people know how to find it and learn more about your business. One of the best ways to do this is search engine optimization or SEO. The aim of SEO is to improve your search ranking so that your content appears at the top of the list when a potential customer carries out a search that is linked to the products you sell or the services you offer. More than 75 percent of people don’t look at page 2, so to make your SEO campaign work you really need to be on page 1. If you don’t know much about SEO, but you’re desperate to capitalize on the growth of the online market and raise your profile, it’s worth considering seeking expert help. An effective SEO strategy could make a huge difference to your sales figures. Many of us use social media to stay in touch with old friends, but social media can also be a highly effective marketing platform. If you can link your social media accounts with your website and promote your brand using original, captivating content, you could reach out to huge crowds. Use market research to determine which platforms would be most relevant to your brand and your target customer and utilize analytics to track and monitor your performance and progress. Launch events are a fantastic way to inform people about your new business and generate a buzz around what you’re doing. Planning an event isn’t easy, but if you make the right calls, the impact can be incredible. Creating a guest list is perhaps the most important aspect of planning your event. Think about who want you invite carefully. Ideally, you want industry experts and people who are going to share their views and opinions to attend. If you’ve got a product you’re aiming at young people, for example, inviting bloggers, social media influencers and journalists and writers from magazines could really catapult your business into the limelight. It’s also a good idea to invite buyers from retailers and stores you’d like to sell to in the future. When you’re sending out invitations, ensure you create the right impression from the get-go. When a buyer or a blogger opens that invite, this may be the first time you’ve heard of you or your product, and you want to encourage them to attend and to find out more. When you’re putting plans together, it pays to remember that many of the people you’ve invited attend similar events on a regular basis. As a result, it’s incredibly beneficial to try and ensure that your event is unique and memorable. You want your guests to remember your brand name and to tell others all about the fabulous launch event they attended. Try and be original, but ensure that your presentation, the venue and any marketing materials you design or give out are relevant to the company. Promote your brand at every opportunity and be prepared to answer questions about your business, about your journey and your experiences and your plans to expand and grow in the future. If you’re giving a presentation at your event, focus on visual appeal, as well as the content of your speech. Use customized media walls to showcase your brand name and logo and create an enticing backdrop, and consider using different types of content to make your presentation more engaging and memorable. Rather than providing an in-depth description of how a product works, for example, play a video that shows the product in action. Instead of talking about the marketing ploys you intend to use, show off some of the materials and concepts. If you can play a TV commercial or project a billboard advert on the screen, for example, this will have a much more powerful impact than talking about your campaign. Provide samples and prototypes for the audience to look at and try while you speak and make time for questions at the end. Prepare as much as possible before you take to the stage and try and preempt what kinds of questions may be asked. When you plan a launch, you want people to think about your product long after they’ve left the venue. To remind them of your brand name and make it easy for them to get in touch, give out goody bags with branded items, such as pens or key rings, and make sure everything that has your name on it also has contact details and social media links, names, and handles. If you’re opening a local business, you may find that traditional techniques work a treat. If you’re launching a new restaurant, a beauty or hair salon or a dog walking business, for example, posting flyers through doors and advertising in local magazines and newspapers can drum up trade. Adding promotions to flyers is a great way to attract new customers and build a client base. Flyers and adverts should contain a brief description of the business and the services you offer, your contact details and information about your USP and what makes you different. If you offer a same-day service or you’ve got a promotion running, for example, make sure people know all about it. Are you on the verge of launching a new business? Are you searching for ways to get your name out there and put your company on the map? Before you start planning a marketing campaign, think about what you’re selling and who you’re selling to. Your strategy should always bear the target market in mind. Today, many consumers use the Internet to locate services and products, and it’s hugely beneficial for modern businesses to have an online profile. Start by building an attractive, engaging, functional website and then promote it using social media platforms and SEO. Share video clips, images, and posts that will turn heads and keep customers interested, and try and be original. If you’re setting up a new company, events are another great way of getting the word out there. Think carefully about who you want to invite, plan your presentation in advance and take every opportunity to sell the product and promote your brand. If you’re targeting a local market, don’t underestimate the value of traditional techniques, such as adverts and flyers.